Welcome to the Geoffrey Kaye Museum of Anaesthetic History at the Australian and New Zealand College of Anaesthetists (ANZCA) in Melbourne, Australia. Founded in 1935 by Dr Geoffrey Kaye (1903 – 1986), the museum chronicles the history of anaesthesia, intensive care and pain medicine. It is one of the largest and most comprehensive anaesthetic history collections. Follow us on Twitter for the latest news and events, and subscribe to our blog – Pins & Needles – for more in-depth features. You can also access the museum’s online exhibitions and collection. Dr Christine Ball is the Honorary Curator at the Geoffrey Kaye Museum of Anaesthetic History. Dr Ball is also a specialist anaesthetist, and senior lecturer, Monash University. The Australian and New Zealand College of Anaesthetists (ANZCA) is the professional organisation for around 5000 specialist anaesthetists (Fellows) and 2000 anaesthetists in training (trainees). One of Australasia’s largest specialist medical colleges, ANZCA, along with its Faculty of Pain Medicine, is responsible for the training, examination and specialist accreditation of anaesthetists and pain medicine specialists and for the standards of clinical practice in Australia and New Zealand. The College also plays a significant role in the advancement of anaesthesia in south-east Asia and South Pacific island countries. 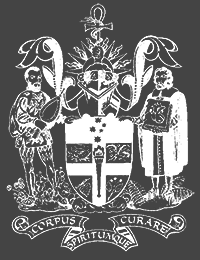 The College has a proud history in Australia and New Zealand. 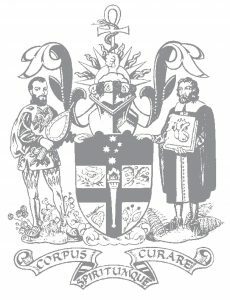 Learn about ANZCA’s history and hear the stories of some of the people who have contributed to our College and our specialty.